Horseshoe Bend Project — GOLD RUSH CARIBOO INC. The bedrock geology of the Horeseshoe Bend property consists of basaltic volcanic rocks of the upper Triassic Nicola Group in the southeast, introduced by quartz monzonite of the middle Jurassic Ste. Marie Plutonic Suite through the remainder of the property. The surficial geology consists of a series of three auriferous benches on the left limit of the river. Exploration of the area was successful in the early 1980's. Gold Rush Cariboo willbe using specially designed mining equipment produced by Goldlands. 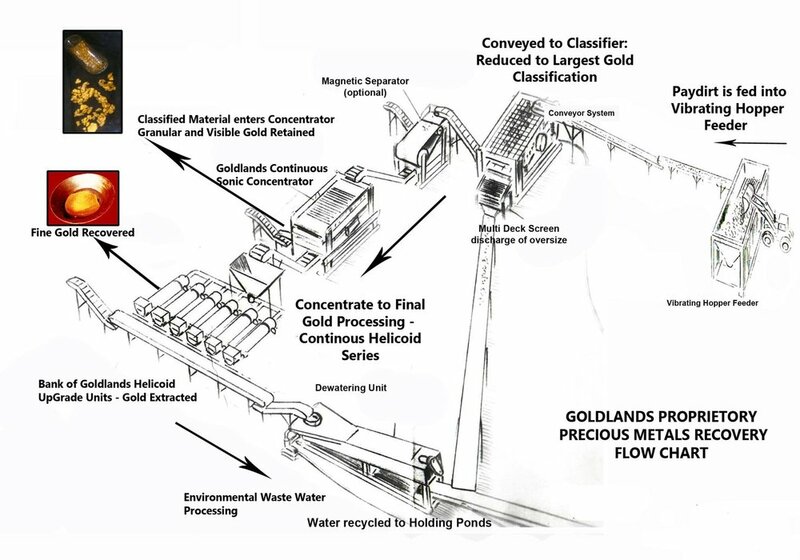 Goldlands' technicians have designed and manufactured proprietory industrial gold mining equipment since 1977. The mining machinery manufactured include a host of Gold Recovery and Mineral Processors including Gold Concentrators and Separators, Portable Placer or Alluvial Wash Plants, Portable Crushers, Trommels and Scrubbers, Gold Centrifuges, Jig Recovery Units, Rotary Helix Concentrating Tables, Screen Decks, Hopper - Grizzley - Feeders, and Gold and Precious Metal Refineries. The Goldlands recovery systems integrate a number of innovative extraction technologies with units ranging from start-up testing equipment of 1 to 2 Tons per Hour and ranging up to units processing volumes of 5, 10, 30, 50, 100, 200, 500 and 1000 Tons per Hour. 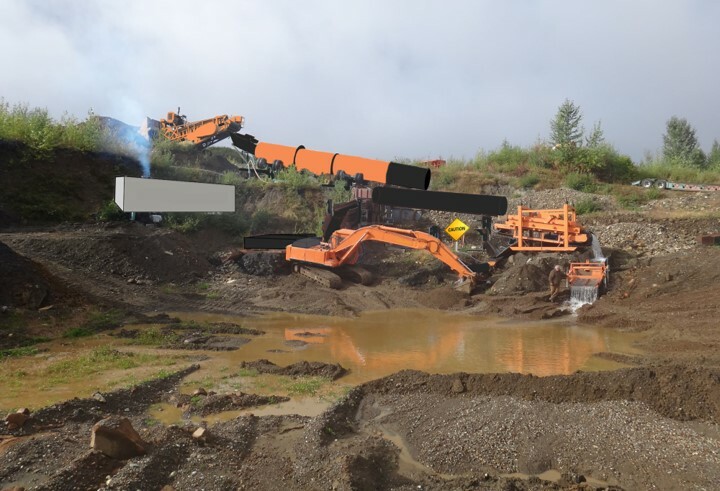 Goldlands knows the high demands placed on the equipment, and builds its systems to withstand the harsh conditions of the producing mine, with efficiency and durability being the key ingredients in every manufactured piece.